The Langelinie Pavilion is located on the grounds of the castle in Copenhagen, overlooking the waterfront that is home to the Little Mermaid. The first Pavilion was built in 1885. The second, built in 1902 for the Royal Danish Yacht Club, was destroyed in the second world war. The current Pavilion was built in 1958 by the architect couple Eva and Niels Koppel in homage to modernism. 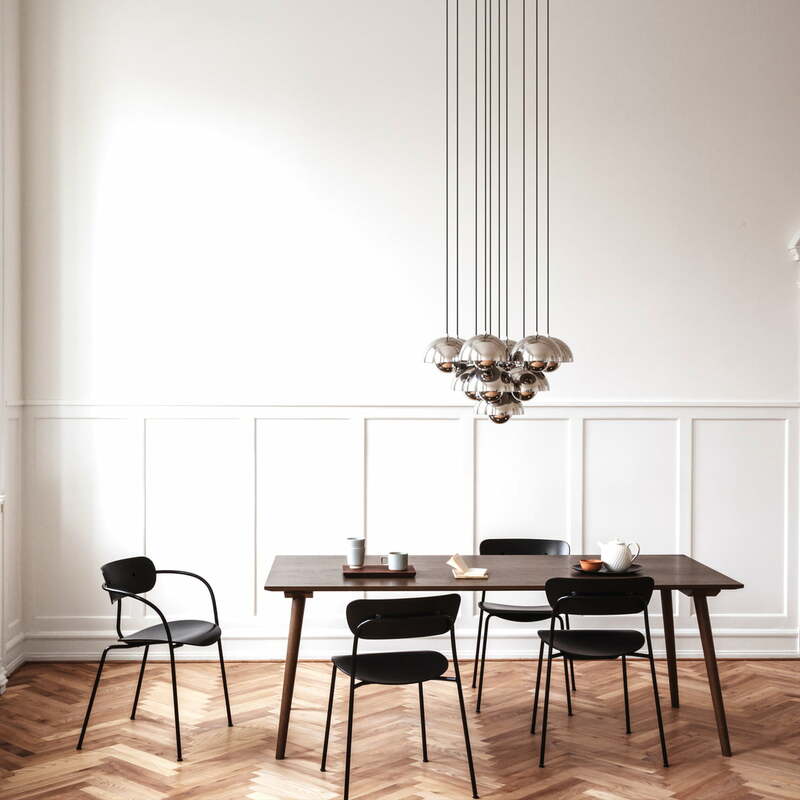 The Pavilion Chair by Anderssen & Voll for &Tradition is a tribute to the Copenhagen Pavilion and has been specially designed for this iconic multipurpose venue. 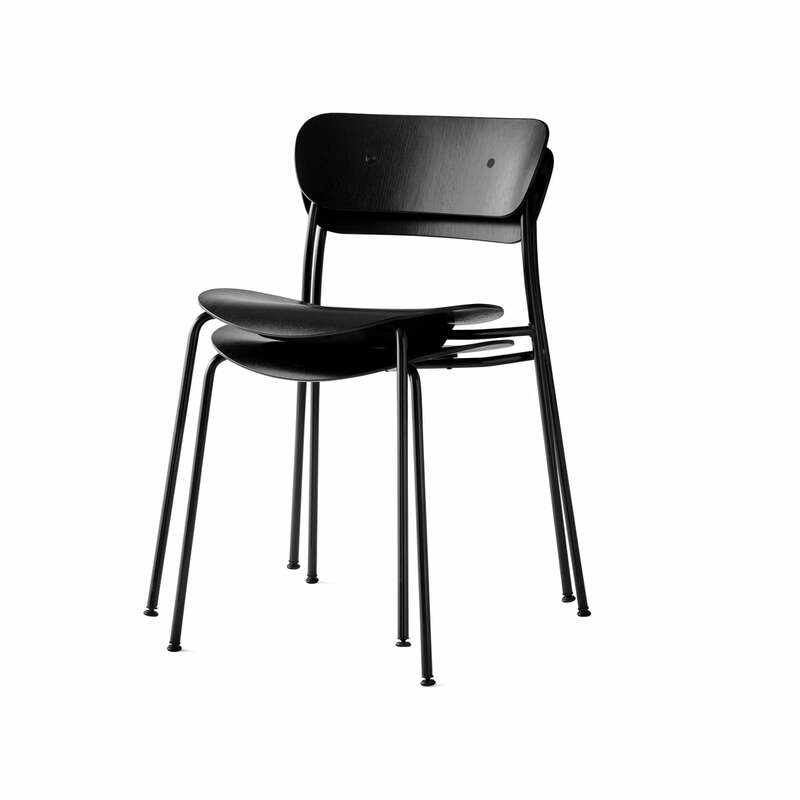 The challenge was to design a stackable chair that would be characterised by its aesthetic and practical benefits as well as visually suitable for events in the 1958 building. 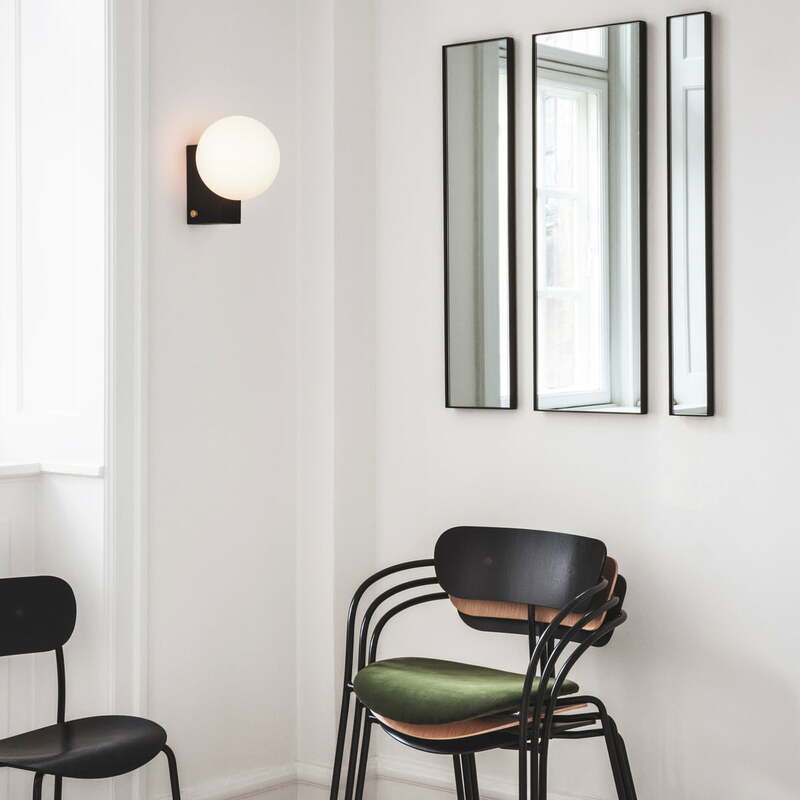 Torbjørn Anderssen and Espen Voll wanted to incorporate modern elements, resulting in a tubular chair that impresses with its slender legs and curved plywood with a light appearance. The curvaceous silhouette is a real eye-catcher in public facilities as well as in your own home. The chair is made ffom bent tubular steel and moulded plywood. The Pavilion Chair looks particularly great in a concert hall, a modern hotel lobby or at the kitchen table in your private living space. It is available in various colours and in a version with armrests. 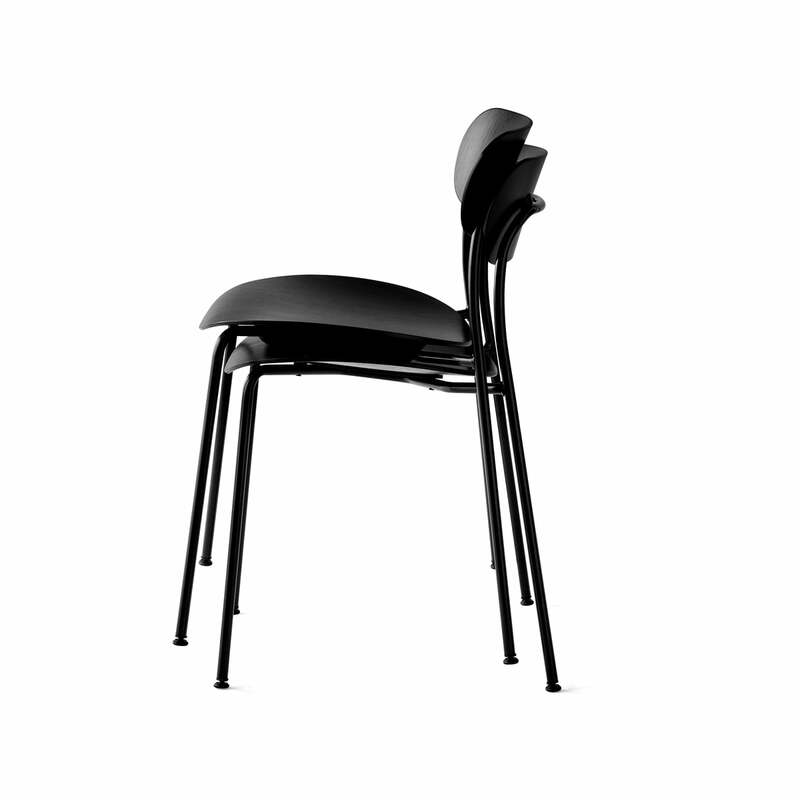 Isolated product image of the Pavilion Chair by &Tradition with a black base and a lacquered oak seat and backrest. The chair is made of tubular steel and curved oak. 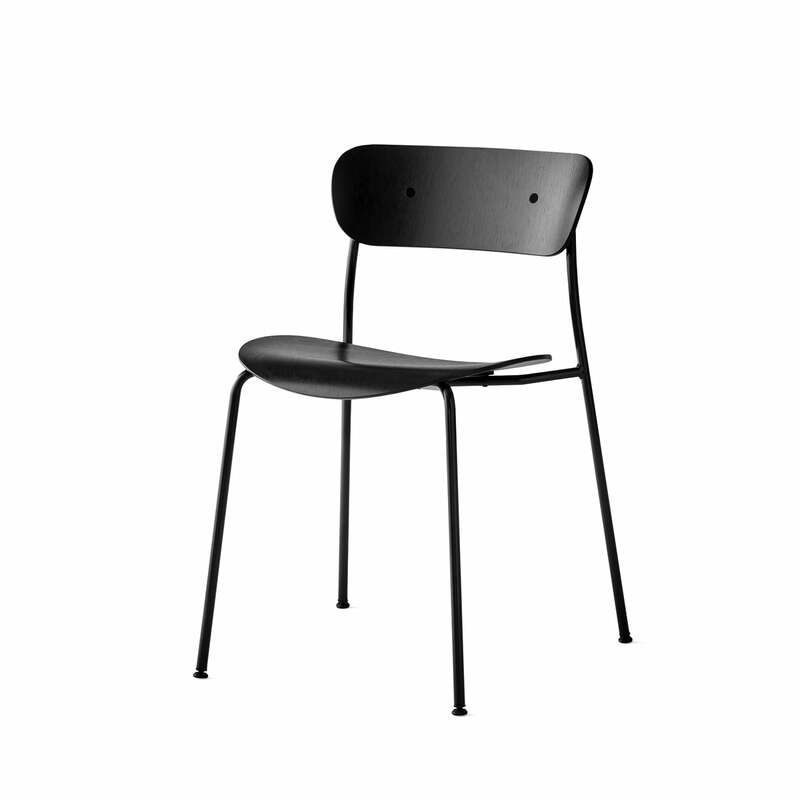 Isolated product image of the Pavilion Chair by &Tradition with a black base and a black lacquered oak seat and backrest. 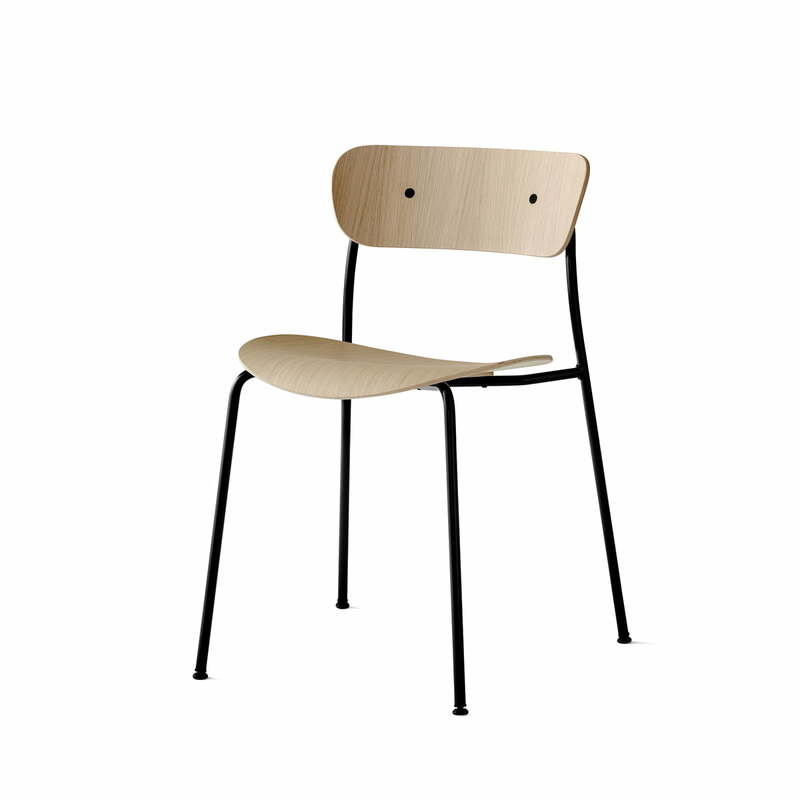 The chair is made of tubular steel and curved oak. &Tradition - Pavilion Chair by &Tradition with a black base and a black lacquered oak seat and backrest The chair is made ffrom bent tubular steel and moulded plywood. 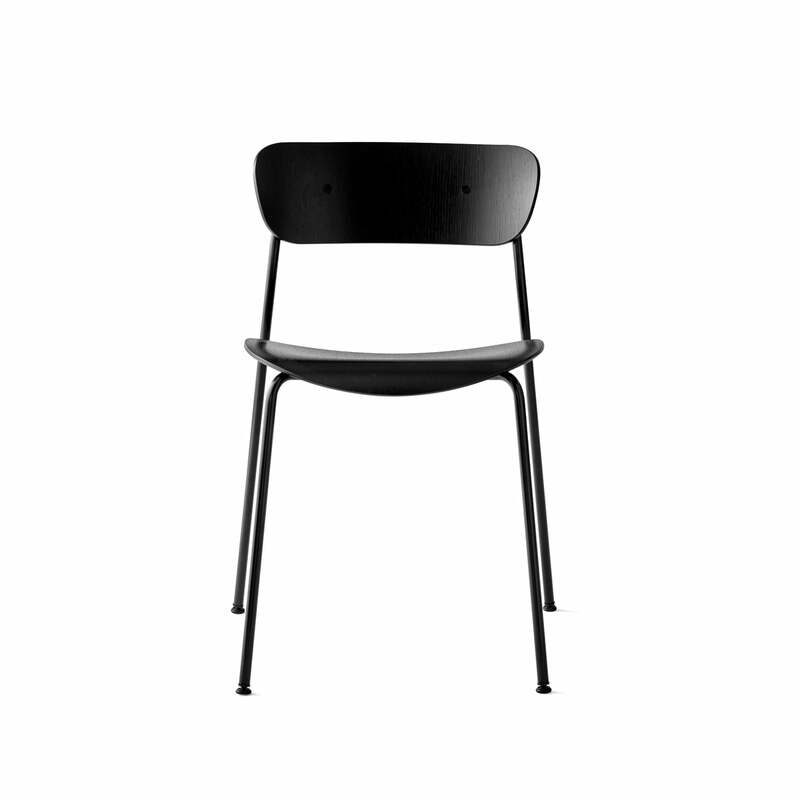 The Pavilion Chair by &Traditionwith black base / black lacquered oak: The challenge was to design a stackable chair that would be characterised by its aesthetic and practical benefits as well as visually suitable for events in the 1958 building. Group product image: The Pavilion Chair by Anders & Voll for &Tradition is a tribute to the Copenhagen Pavilion and was designed for this iconic multi-purpose venue. 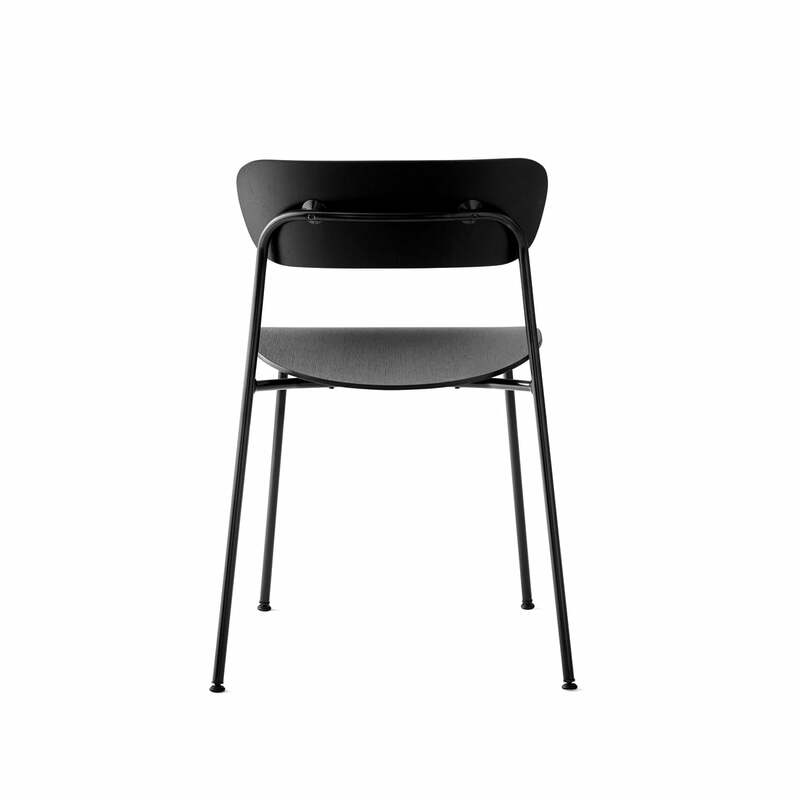 Group product image: The Pavilion Chair looks particularly great in a concert hall, a modern hotel lobby or at the kitchen table in your private living space. 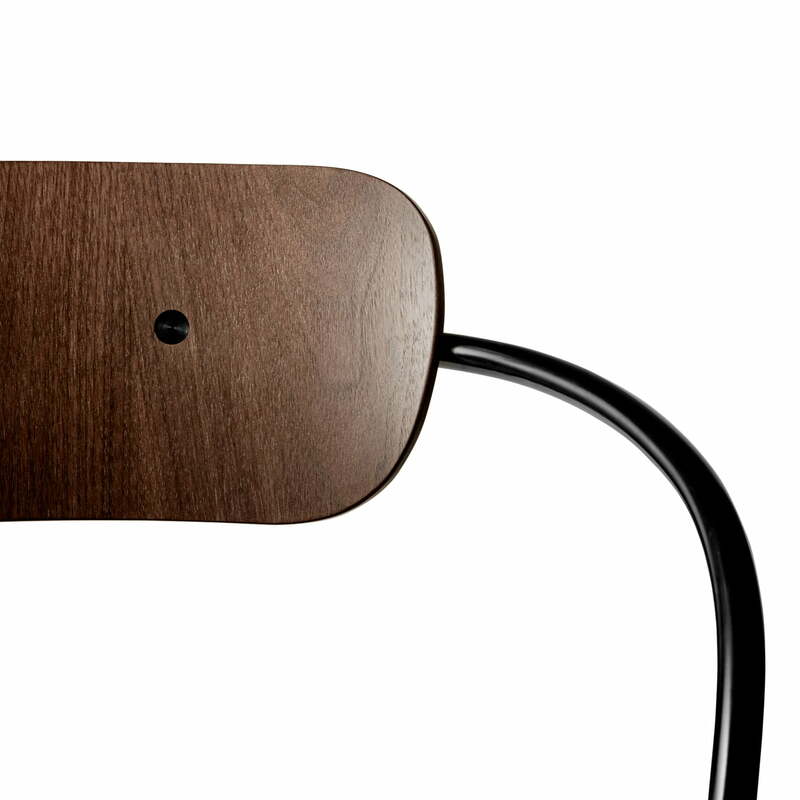 Detailed product image of the Pavilion Chair by &Tradition with a frame consisting of bent tubular steel in black and a walnut lacquered seat and backrest. Lifestyle product image of the Amore wall mirror, Journey table and wall lamp, stackable Paviliion armchair and Pavilion chair from the manufacturer &Tradition. Lifestyle product image of the Pavilion chair and armchair by &Tradition. The curvaceous silhouette is a real eye-catcher in public facilities as well as in your own home. 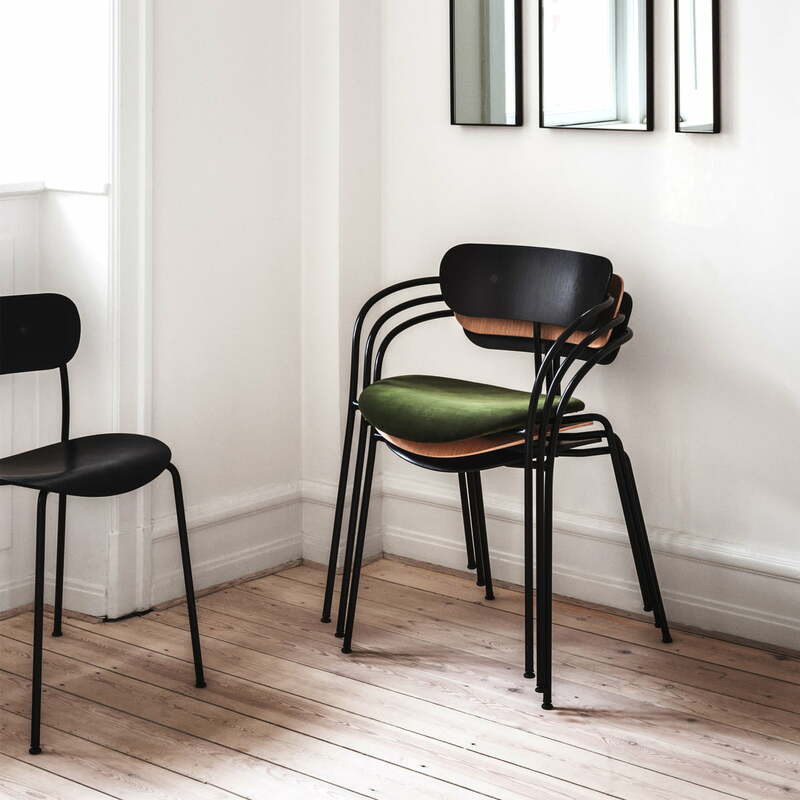 Torbjørn Anderssen and Espen Voll wanted to incorporate modern elements, resulting in a tubular chair that impresses with its slender legs and curved plywood with a light appearance.